Chichicastenango (6,500ft), is a small town famous for its colourful outdoor market full of Mayan textiles, handicrafts, food and second-hand clothes. 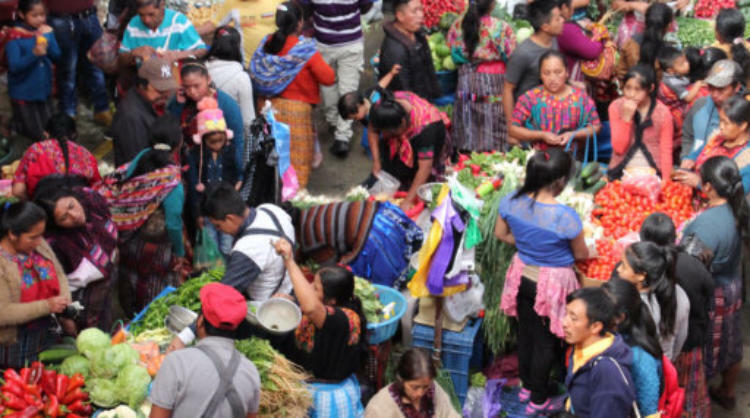 This twice weekly market (Thursdays and Sundays) is the largest in Central America. 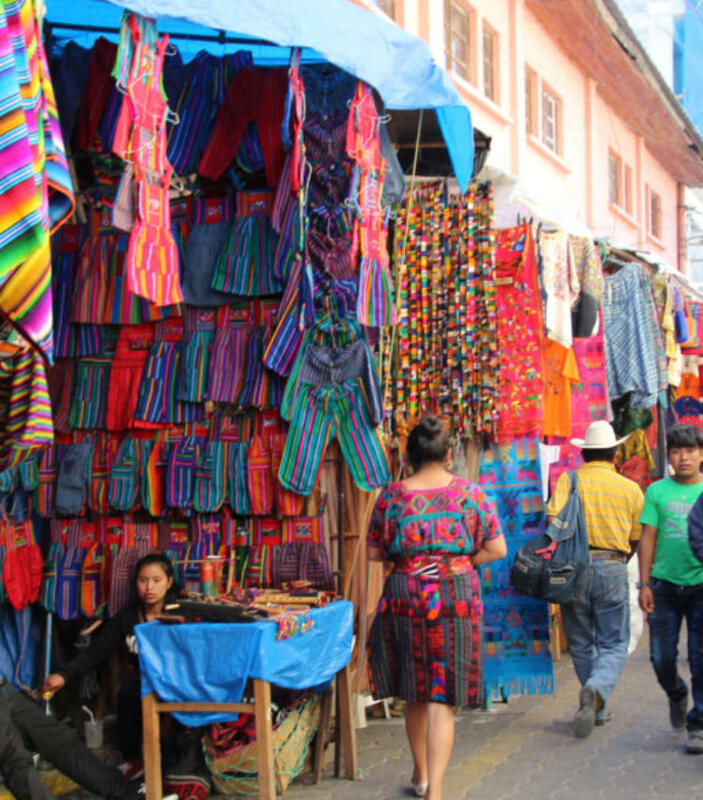 It draws not only the Mayan people of the surrounding region, but vendors from all over Guatemala. 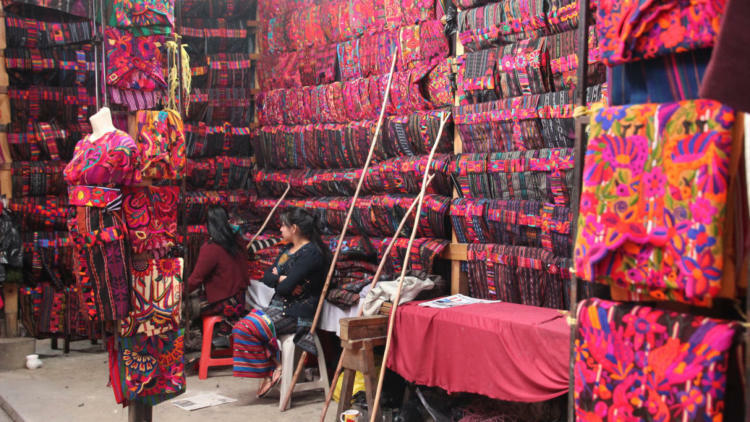 It’s very colourful and very crowded in the extremely narrow lanes. 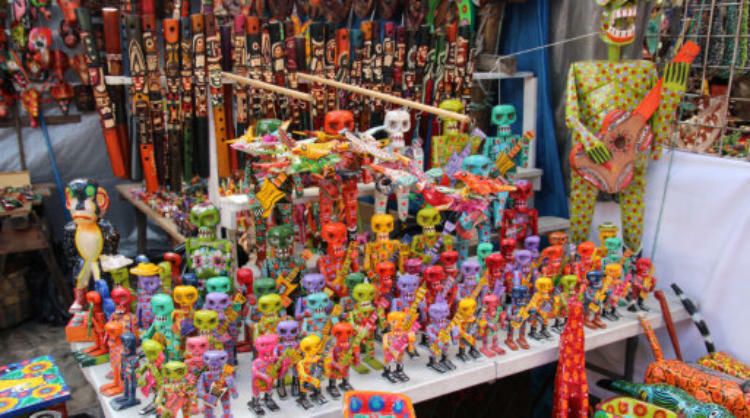 We did a walking tour of the market, churches, cemetery and Pascual Abaj then after lunch we revisited the market before driving 2 hours to Antigua. Santo Thomas Church is the primary church. 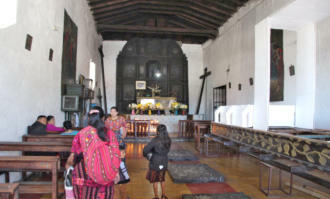 The church is used by both Christians and Mayans. Each of the 18 steps that lead up to the church stands for a month of the Mayan calendar year. The interior had lit candles down the aisle and at the altar, which are meant to remember the dead who were buried underneath the church. 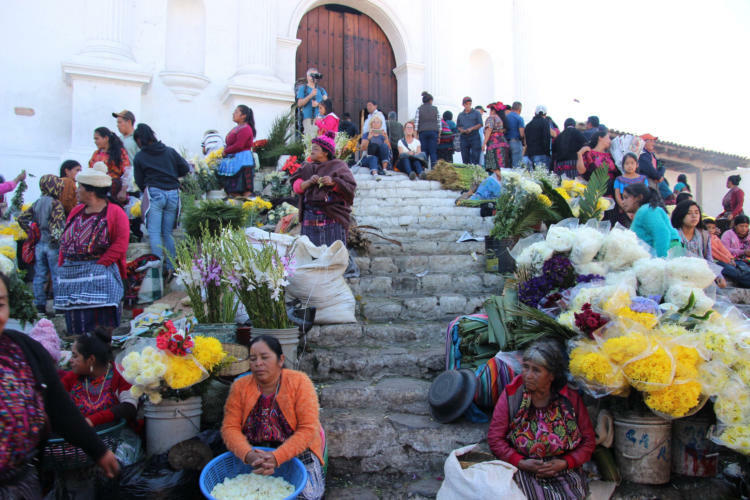 Lining the steps were vendors selling flowers used for offerings. The Mayan faithful Shamans performing ancient ceremonies on the front steps. 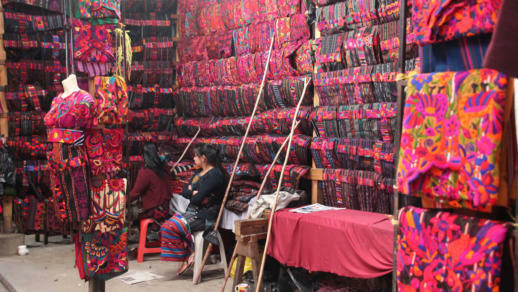 that include the burning of copal incense in an elevated pit and swinging balsam incense censers. El Calvario is the smaller of the two churches overlooking the Main Plaza, but it serves the same function for both Christians and Mayans. 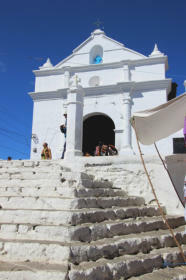 We climbed a steep slope to see the Pascual Abaj shrine to the Maya earth god Huyup Tak'ah (Mountain Plain). A stone-faced idol stands amid a circle of squat stone crosses in a clearing. It’s said to be hundreds, perhaps thousands, of years old, and local people still come regularly to make offerings. 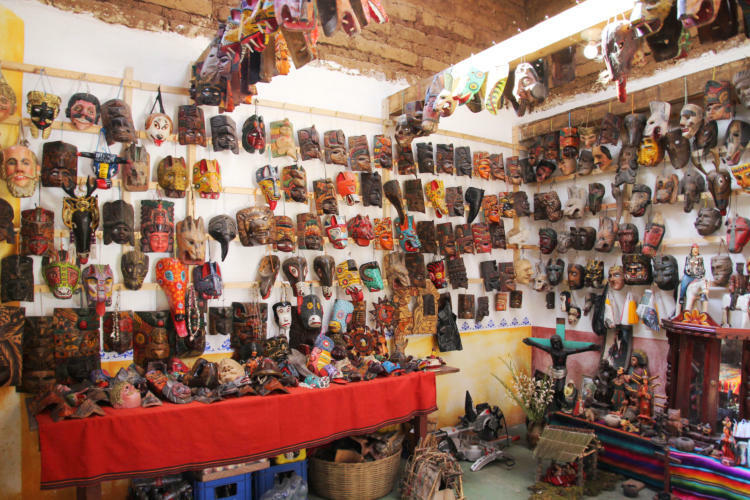 There is an interesting private collection of masks in a house near the bottom of the path. 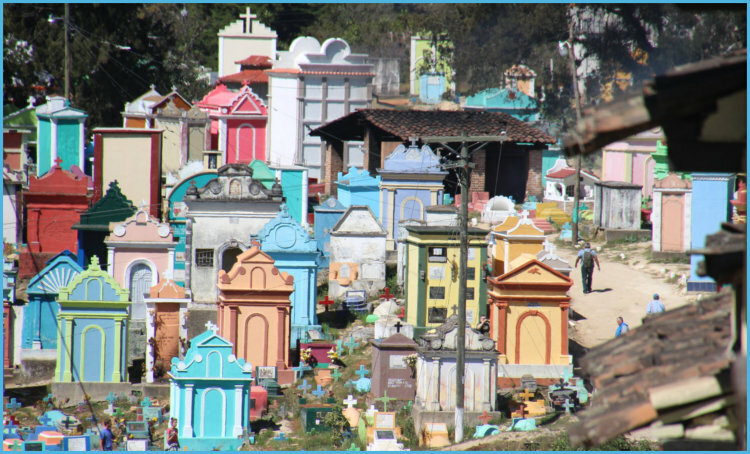 The cemetery has three distinct grave styles - mausoleums, stacked graves, and concrete caskets. 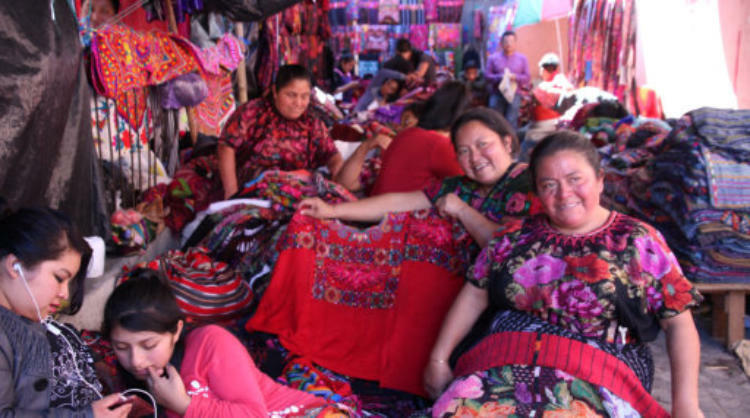 Steeped in Mayan tradition, the vibrant colours celebrate the afterlife, and can symbolize different family roles. Many tombs are coloured based on the person’s family status. 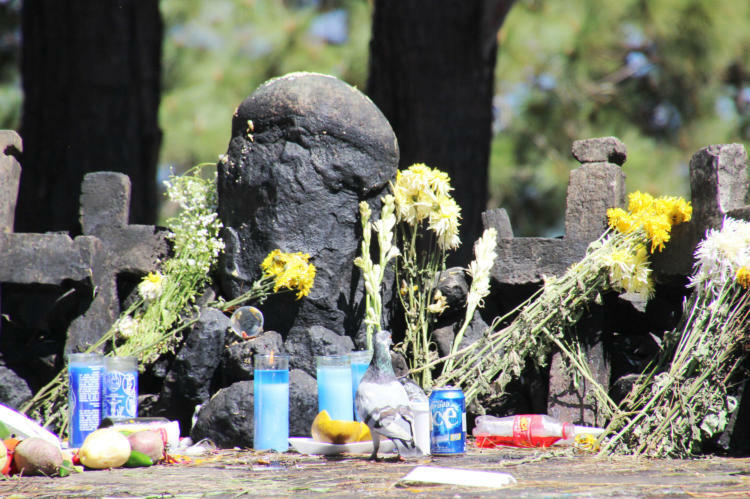 Tombs may be painted white to represent purity; graves of mothers are painted turquoise for protection; grandfathers are marked in yellow to indicate that the golden sun will protect humanity. Other graves break this more traditional mould, painted in lime green or red or the favourite colour of the deceased. 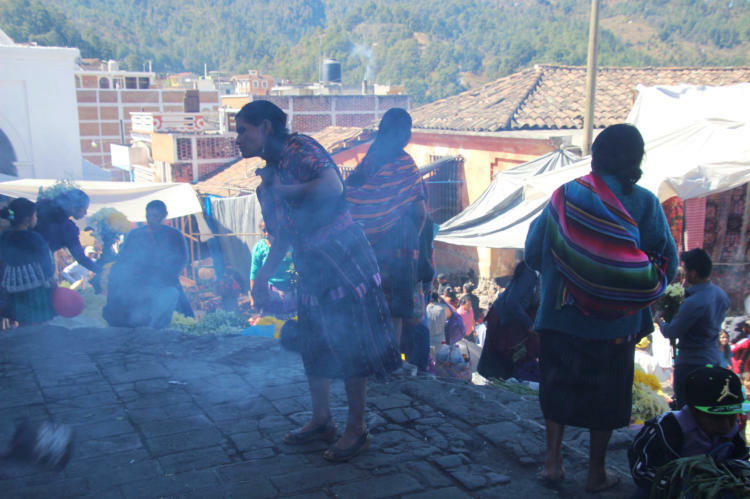 Many Mayan rituals and spiritual fire ceremonies are performed under cover outside of the shrine of Il Defonso Rossbach.